Danick Specialties & Support provides first class problem solving support, utilizing existing intellectual powder coatings knowledge and experience. This service can be provided under retainer, or on a project-by-project basis. We can tailor a solution to specifically meet your individual needs. • Assessment of associated equipment/vendors etc. • Determine what equipment can help improve your productivity, quality. • Long standing relationships with key equipment suppliers adds to the ability to get the job done. 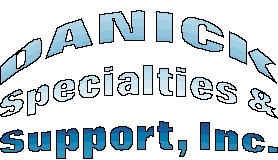 Danick Specialties and Support is also providing telephone support. Danick Specialties and Support can also provide telephone support for your customers. Contact us for more information regarding this service. Quality of the support service provided is assured by 30 + years of experience in the powder coatings industry. • Worked closely with staff to accomplish goals and objectives on time. Products that add value to Danick Specialties & Support, Inc.